I’ve never been someone who can name plants and trees around me. I love nature and the countryside but I’m not very clued up on what’s what. One day I’d like to plant a vegetable garden and grow my favourite vegetables for eating. It’s on my bucket list as I imagine growing my own food, preparing and cooking it will be extremely satisfying, a big achievement. I’d like to be as self-sufficient as possible; improve my sewing skills, cooking skills and general day-to-day DIY too. 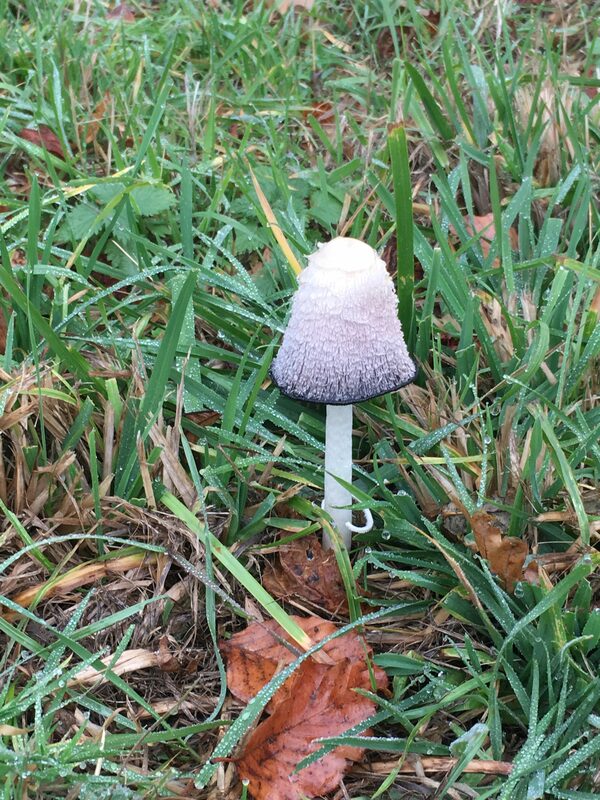 In October I stopped during a dog walk when I noticed the funniest looking mushrooms on the path. I took a picture, so I could look up what they were when I got home. Whenever I see mushrooms I think of the scene in The Lord of the Rings, the Fellowship of the Ring when the hobbits are on their way to the Prancing Pony Inn and they stop on the side of the road to collect the mushrooms. Since noticing this one odd bunch of mushrooms I’ve found myself stopping each time I’ve seen more. Kiwi is in a large paddock at the moment and around the edge is a wooded area. 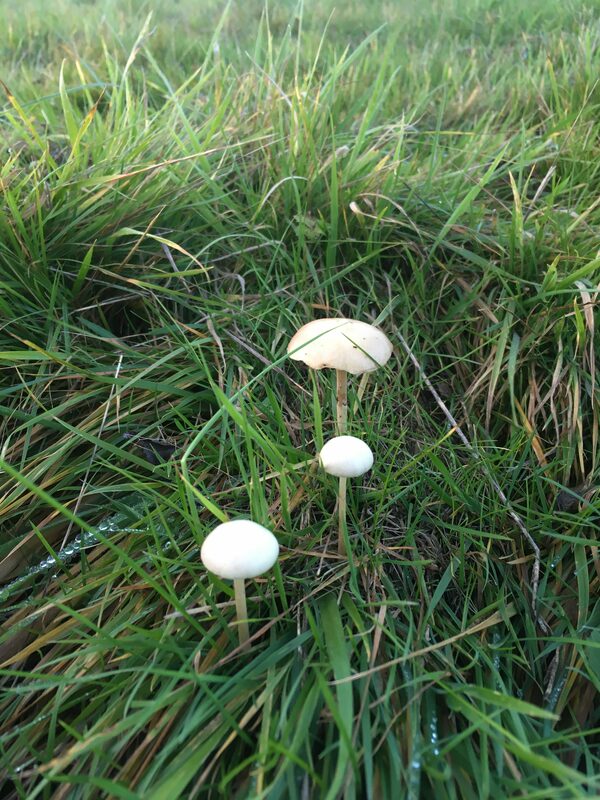 There are quite a few different types of mushrooms growing in the field and I spot them on my daily muck sweep whilst I scour the ground for droppings. I’m not brave enough to pick any and eat them but maybe one day. I had no idea how many different types of mushroom there are in this country. And, how similar the poisonous and edible varieties look! 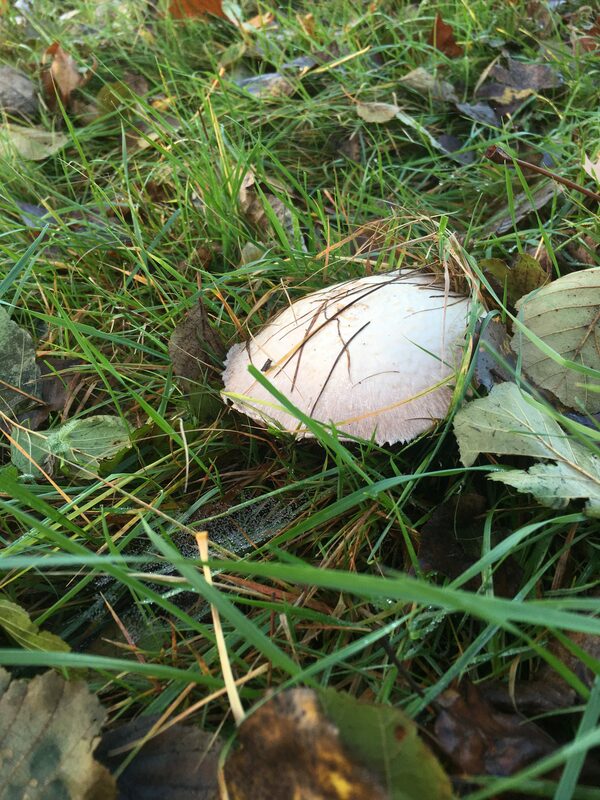 I’ve been using the Wild Food UK website to identify the mushroom specimens I’ve found on my walks. The first mushrooms I found are very odd-looking things. The spiked exterior makes them look a little threatening. They’re called Common Puffballs, and they’re actually edible, although apparently not very flavoursome. They can be confused with young versions of dangerous mushrooms such as the Amanitas family of which some are very deadly. They’re also similar to young Stinkhorn mushrooms, Phallus Impudicus, identifiable by it’s distinctive phallic shape and foul odour. Ha! 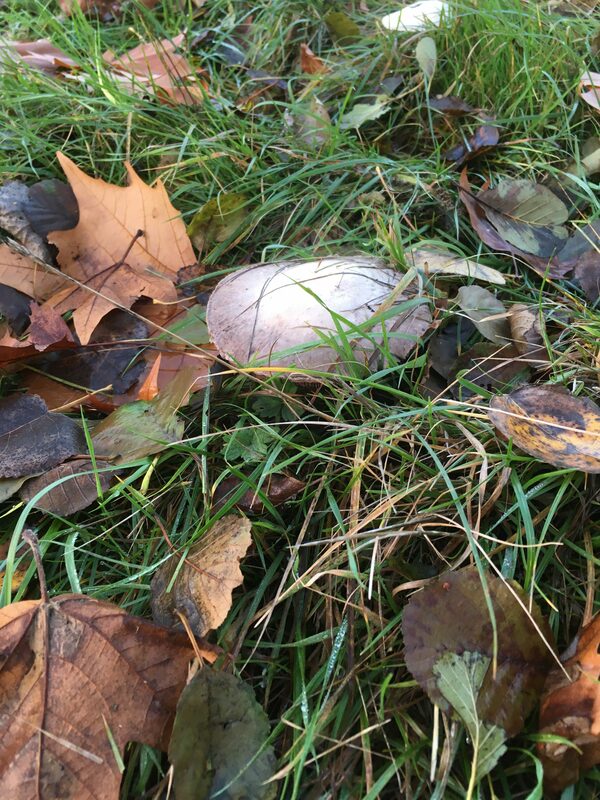 The common puffball is also known as the Devils Snuffbox. This next one I’m not entirely sure about. From my photo I think it’s a Hortiboletus bubalinus mushroom. And a young one because they start off round and become flatter and more uneven as they age. Let me know if you have other suggestions for what it might be! 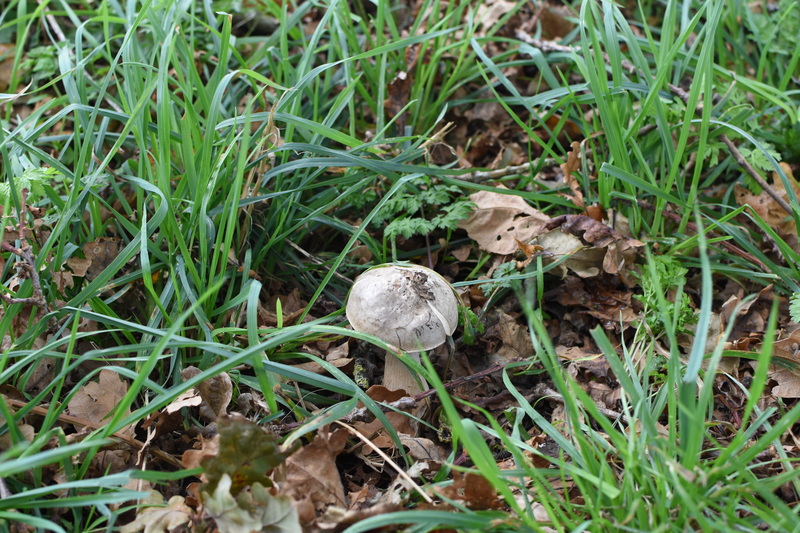 This one I believe is either a Field mushroom or Yellow Stainer. I was too wary to pick the shrooms up and examine them further but I see now that with some varieties it’s almost impossible to tell them apart by looking at the cap alone. I think Field mushroom because the stem looks smooth and white. Next time I’ll check to see if it’s a yellow stainer because they bruise yellow! This photo I like because of all the tiny water droplets of dew on the grass around the mushroom. The shroom itself is a rather foreboding purple. 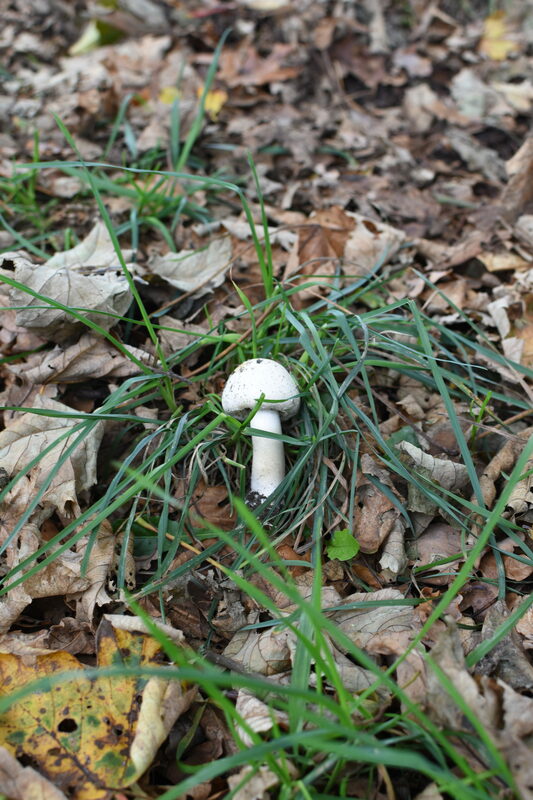 I believe it to be a Shaggy Inkcap. It’s tall and has a long cylindrical cap with a slight conical shape at the bottom edge. The stem is tall with a ring that detaches easily (like in my photo). This mushroom is edible and to quote Wild Food UK “delicious” (i’ve never gone that far to describe a fungus!) I found these in Kiwi’s field so I’m glad they’re edible just in case he takes a liking to them. They’re also commonly called a Lawyers Wig or Judges Wig mushroom. This one again is tricky to identify. I’m leaning towards it being a Horse Mushroom. Ironic because I found it in a horse field. It had a shredded edge around the cap and there were a few of them together in one spot of the field. however, I found this in the middle of November and apparently their season is from May to October so who knows?! The Horse Mushroom smells like aniseed and has to be cooked before it’s eaten. Wild Food UK suggests it’s very tasty. The final mushrooms I found were rather cute with a little stem and tiny cap. 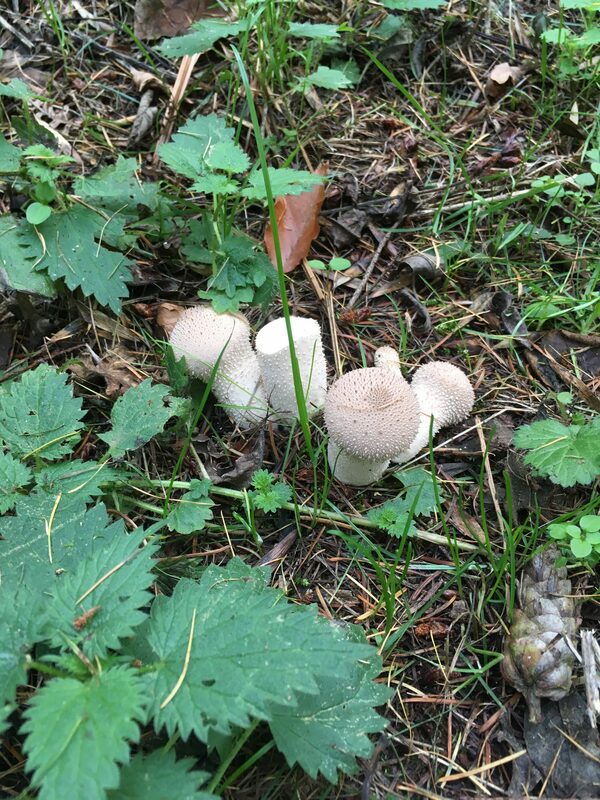 I have no idea what they are and all the photos I’ve found of white mushrooms don’t match. I’d love to know what it is if anyone has any ideas.